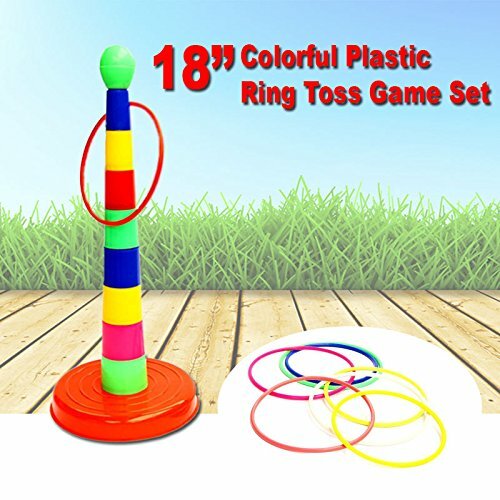 1 18 inch = 46 cm ring toss game set, including 8 throw rings. Comes in exciting colors to catch an eye. Easy assembling, Easy dis-assembling, Extremely compact for fit storing. How well can you aim? Test your aiming skills. 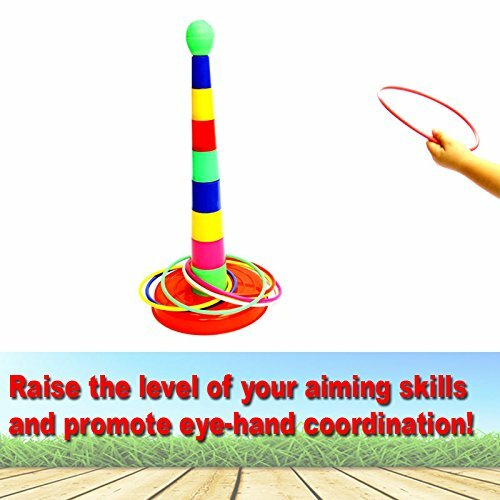 Or just play an exciting Ring Toss Game, with associates or by yourself. 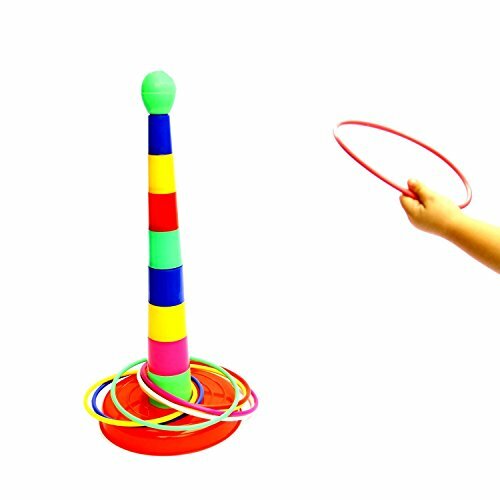 Try targeting the throw loops exactly onto the colorful self-assembled pole. 1.2.3..... YOU GOT IT PERFECTLY IN PLACE!! KIDS LOVABLE!! They enjoy taking chances with friends or alone, Again and again, non-stop. 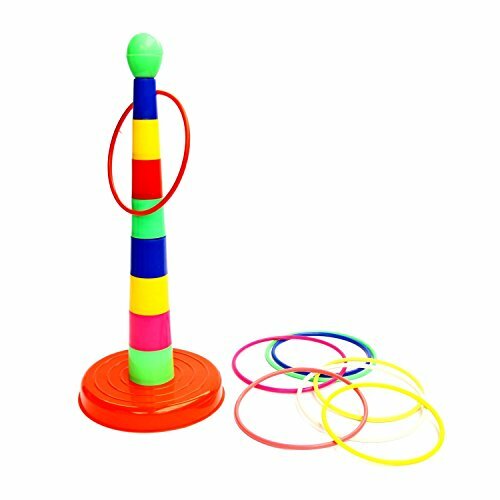 Ring Toss Game comes in various exciting colors. When done for the day storing won't be a problem, because of our small storing size box in which the Ring Toss Game Set comes. HAVE FUN and raise the level of your aiming skills in the meantime. 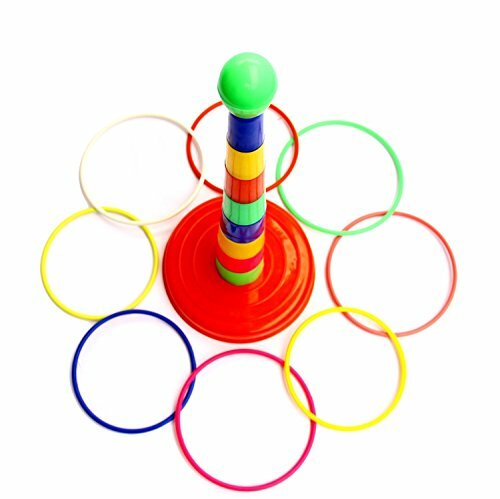 Enjoy our compact, thrilling Ring Toss Game Set any time you're in the mood of playing it.